Over the past couple of weeks, I’ve been raku firing almost non-stop to build up my inventory for the Loveland Sculpture Show in Colorado this weekend. I shot a couple of Periscope videos this past week while I was firing that I will upload to my YouTube channel soon. Keep your eyes out for those! 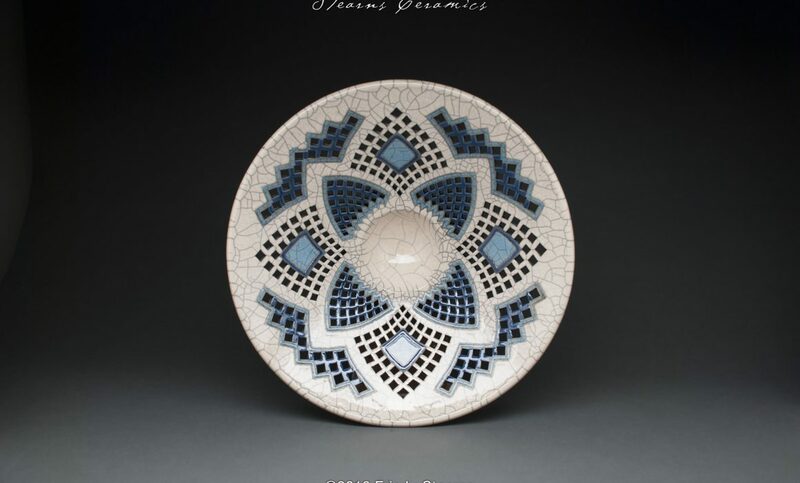 I look forward to sharing my latest sculptural pierced raku art with the collectors and art lovers this weekend. The Benson Sculpture Garden is such a picturesque location for this exhibition. It even looks like the weather might cooperate! The show opens on Friday from 3-8 for the Patron’s Party (limited number of tickets available). On Saturday, the general public can buy tickets for just $7 (children 14 and under are admitted free) to see as much sculptural art as one can see between 9:30 am and 6:00 pm. 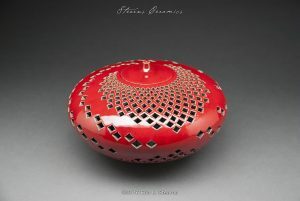 The general public is again welcome to view the artwork on Sunday starting at 9: 30 am until closing on Sunday at 4:30. After I pack up, I head to Horizon Fine Art Gallery in Jackson, Wyoming to re-stock their gallery and then it’s back to Nebraska in time to start the fall semester at Doane University. Since you might not be able to visit my booth at the Loveland Sculpture Show, I thought I’d share a sneak peek of my latest work with you. Just navigate over to the Fall 2016 Gallery. I have all of those pieces with me at Loveland and will select pieces from the work remaining after the sculpture show to take to Horizon. I’ll update the gallery after the Loveland Sculpture Show to indicate where pieces will be available (and a link directly to the gallery). If you fall in love with anything, let me know and I’ll try to set it aside for you. 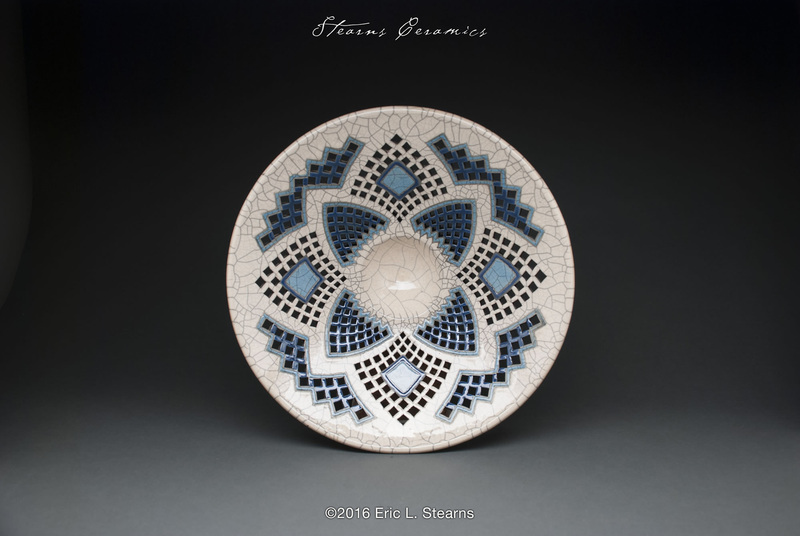 Eric Stearns was born and raised in North Platte, Nebraska and is currently an art professor at Doane College. 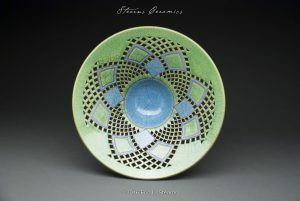 Eric combines a love of mathematical design into his work through carving and piercing the clay.